This has been a long time in the planning, and finally we’re ready to bring you Activity Days for children aged 5 – 11 years during the summer holidays. As a pilot project we’re intially running a total of eight days, with groups of up to 15 children per day, and working with 4 very well trained and experienced staff. 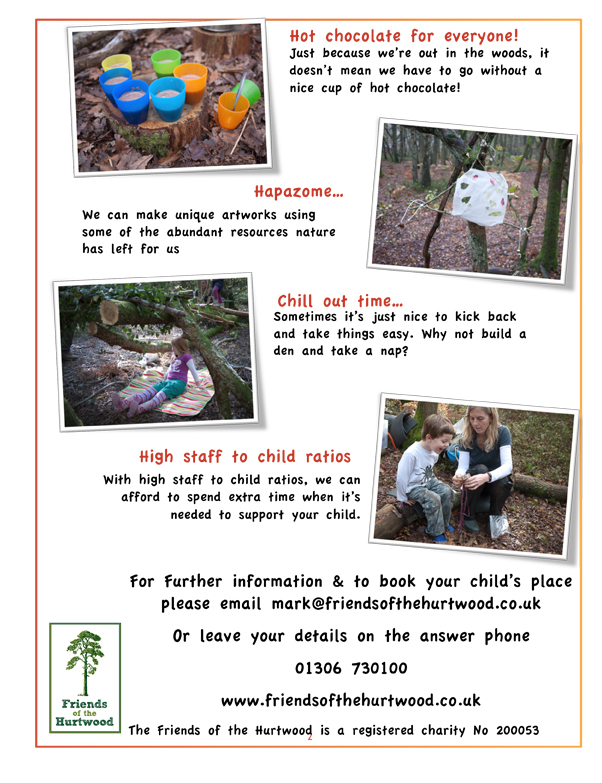 The day is spent entirely outdoors come rain or shine, playing and learning in The Hurtwood at Holmbury St Mary. We also have a very special offer! 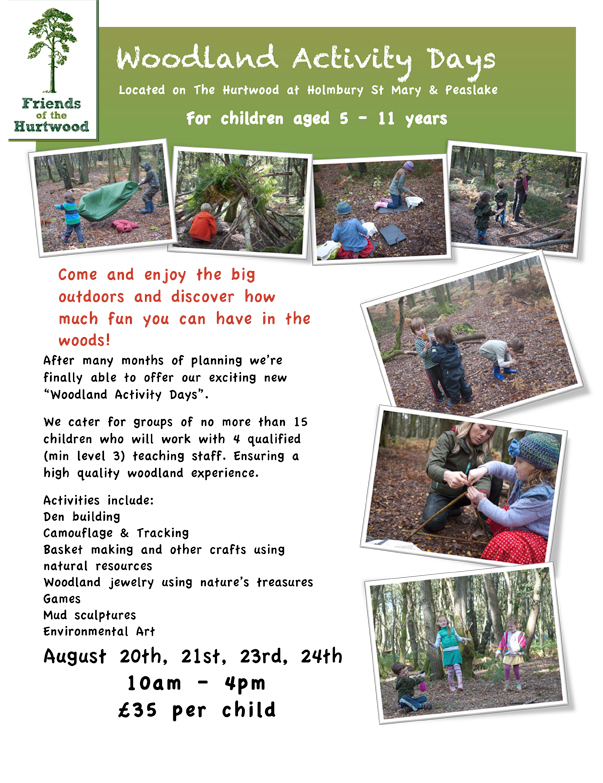 We’re offering a number of places completely free for the 13th 14th 16th & 17th August!! !